In honor of Independence Day 2015, here is a classic poem about the nickname of the American flag. Use it as copywork or just enjoy it! I’ve also included a stirring rendition of America the Beautiful and few pithy quotes. 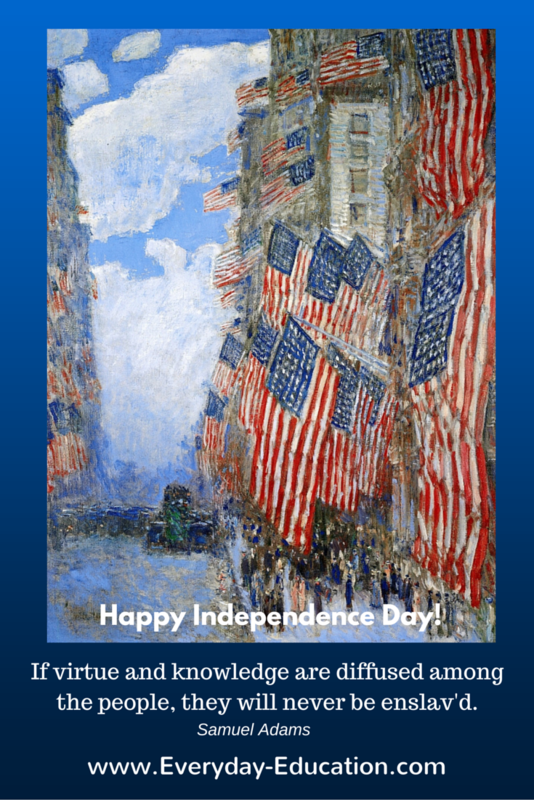 I wish you a happy, knowledgeable, and virtuous Fourth of July. And leap out full-length, as we’re wanting you to? When-Lord!-we all know we’re as common as sin! (And we’re wanting it so! For your name–just to hear it. …So I came by the name of Old Glory. I’ve seen quite a bit of our beautiful country this summer, so this song seemed especially appropriate. 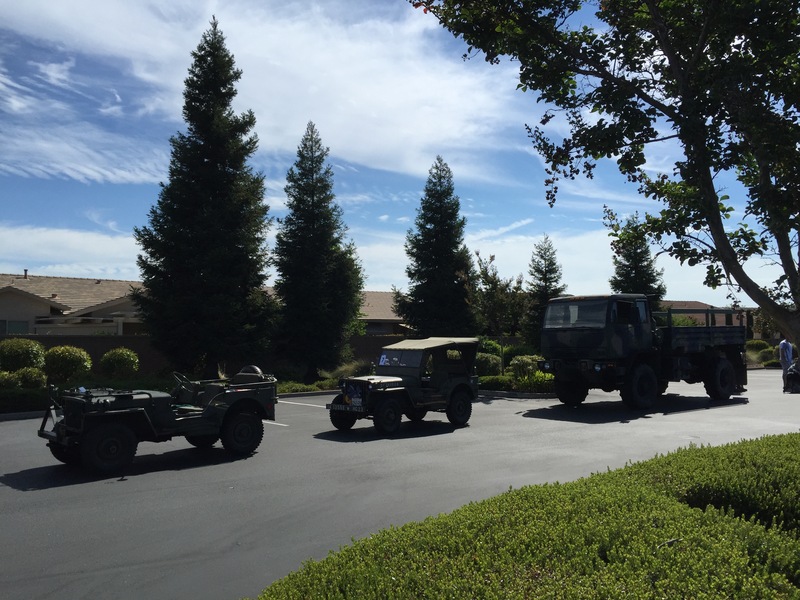 On my walk this morning, I came across these military vehicles lined up after participating in a Fourth of July parade. The sight reminded me that “eternal vigilance is the price of liberty” (attributed to both Thomas Jefferson and Patrick Henry), and I’m grateful to those who stand on the front lines of vigilance. Next story Take your children outside! Here’s why.